There’s something undeniably magical about Halong Bay. Despite the sometimes off-putting news of trash in the water, long lines of boats doing exactly the same itinerary, and new rules seemingly enacted at whim suddenly closing off the top decks of boats and governing where you can and cannot swim (currently there’s just one approved swimming spot in all of Halong Bay, on Titov Island), many of us are still drawn to its mesmerizing seascapes of thousands of untouched, jungle-draped islands rising from emerald waters. Blessed with awesome natural beauty, it’s no wonder that 10 million people visited Halong Bay last year, making the UNESCO World Heritage Site Vietnam’s third most visited destination, behind Ho Chi Minh City and Hanoi. Last year’s Kong: Skull Mountain brought additional international attention to the bay, with its dreamy, otherworldly vistas prominently featured in many of the blockbuster’s scenes. Tours have even popped up visiting some of the movie’s filming locations. 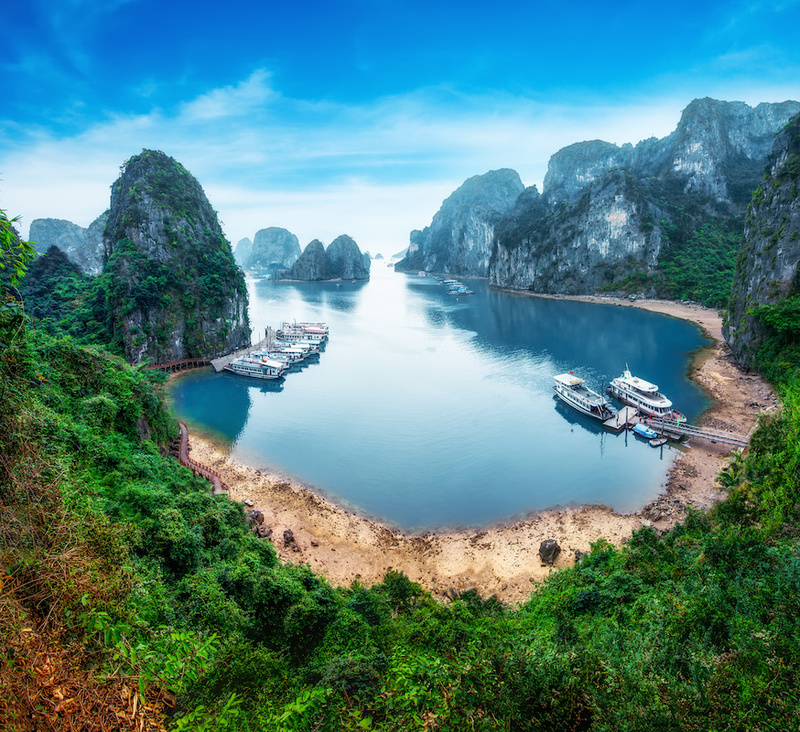 Also, Halong Bay, along with the broader northern coastal province of Quang Ninh, is featured front and center in this year’s National Tourism Year by the Vietnam National Administration of Tourism. Under the banner “Ha Long – Heritage, Wonder, and Friendly Destination,” more than 50 events have been planned through January 2019 in the province, including photo exhibitions, a massive carnival, culinary festivals, travel expo and sporting events. But perhaps the biggest game changer is a new highway expected to open this month, promising to halve the travel time between Hanoi and Halong Bay, from four hours down to just two. This will likely entice more people with limited time to visit on a day cruise. Another highway is under construction to the new international airport in Van Don, 50 kms from the bay, set to open later this year, making it even easier to get to Halong. Once on the water, though, many visitors face the irony of being able to choose from literally hundreds of boats yet only five routes through Halong and nearby Bai Tu Long Bay. This means that instead of the brochurepromised experience of being alone among thousands of uninhabited islands, visitors instead find themselves in one long, bottle-necked procession of boats following the same route and hitting the main attractions all at the same time. 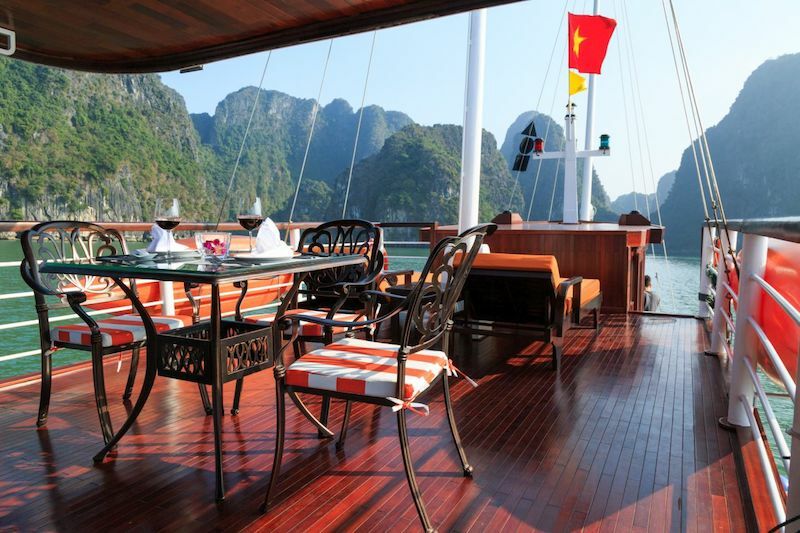 With the launch of L’Azalée Premium Cruises (www.lazaleecruises.vn/premium-private-cruise) earlier this year, those with deep pockets can really have the bay all to themselves aboard a luxury junk that looks more at home on the Mediterranean than in Halong. Sleeping just two passengers, the ultraluxe single-cabin boat boasts five crew members including a butler and a private chef who prepares gourmet meals a la minute on the sundeck. 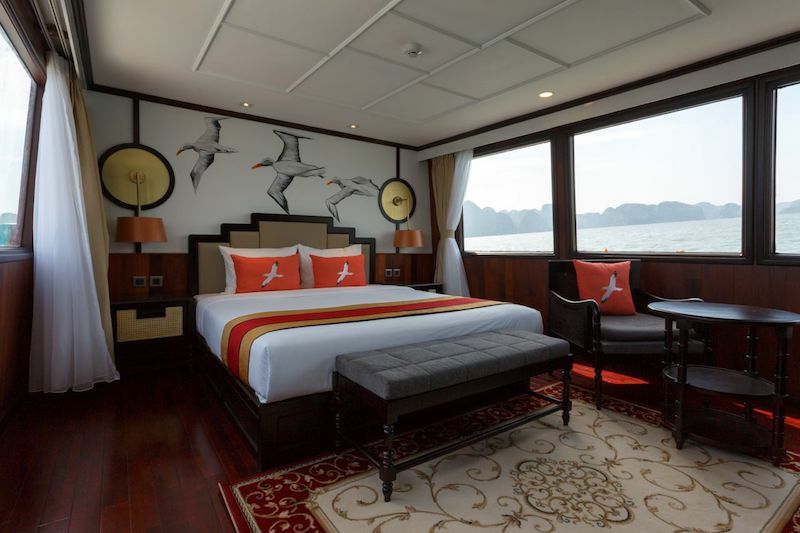 Best of all, guests can choose where they want to stop and the captain will devise a custom itinerary aimed at visiting Halong highlights when fewer tourists are around for a truly exclusive experience. 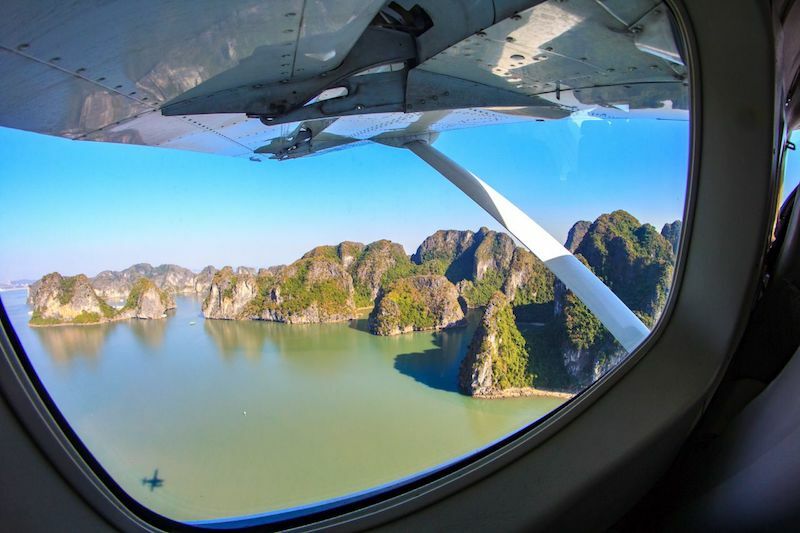 In upcoming months, Hai Au Aviation is looking to add flights to Cat Ba Island and up-and-coming Co To Island known for its blissfully quiet beaches and clear, blue water. With all these new developments, it’s perhaps time to think about a return to Halong Bay.